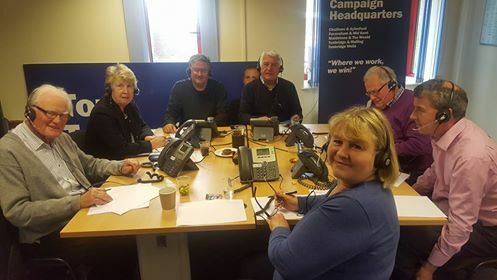 With the Phone Bank in full swing and every available inch of floor and desk space at West Kent towers taken-up by volunteers calling, packing, guillotining and data-capturing, we literally ran-out of room today. 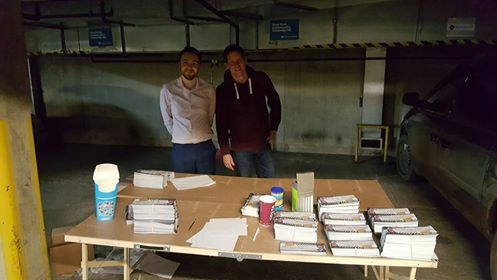 A team who came in to sort Police & Crime Commissioner GOTV postcards into wards were relegated to work in the gloom of the underground car park (though we kept them supplied with coffee, chocolates and digestives). Tonight we have 14 people on the phones with a target of 1,000 calls. It's good to see our West Kent Phone Bank running at full capacity once again ahead of the 2016 council and P&CC elections. 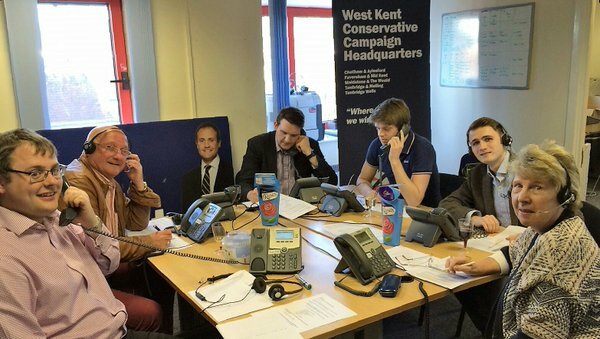 Between now and Thursday 5 May our aim to make 15,000 GOTPV / GOTV calls to voters in marginal council seats, encouraging them to vote for their local Council candidate and Kent's excellent Conservative Police & Crime Commissioner candidate, Matthew Scott. The Phone Bank is operational every evening from 6pm - 8.30pm and from 10am - 8pm during election week. 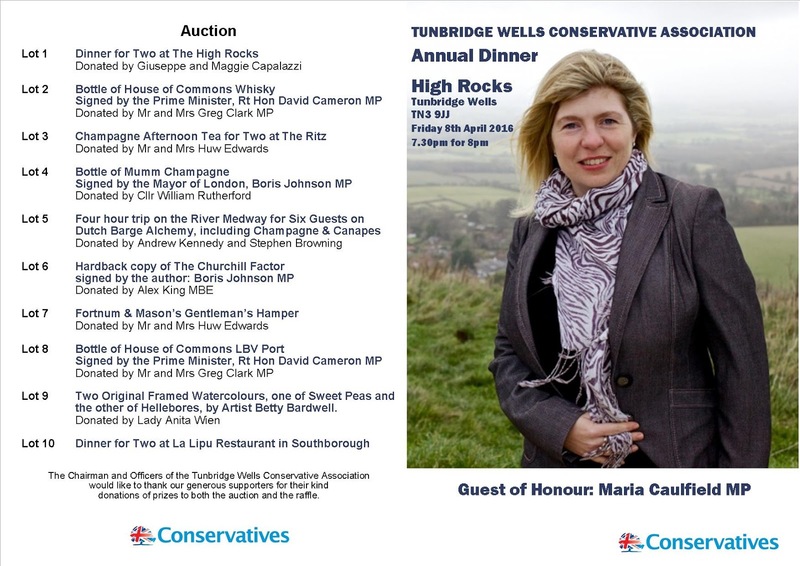 If you can help please email westkentconservatives@gmail.com to confirm availability. Be part of the ring behind the swing! Sign up now. I know that waiting for the CCHQ Helpdesk to return your call or email can sometimes be frustrating, but I ask you to spare a thought for the poor guys (and ladies) who answer our calls. Last week, West Kent's Director of Paperclips had to call the Helpdesk to ask about TVTs. The chap dealing with our call had to check something with a colleague, leaving the phone on his desk and the line open. As he waited, Paperclips could overhear the person at the adjoining desk dealing with another caller. I often "compare and contrast" the six local authorities I deal with in the West Kent area, to highlight "best practice" or expose waste and inefficiency. This morning's post brought this prime example. Twenty identical letters (each addressed to me as "election agent"). Each letter had two identical enclosures and sent in a sealed envelope with a first class stamp. Now I accept there are statutory requirements under the PPERA, and local authorities have a legal requirement to send these letters to the agents, but it is also fair to say that each letter does not have to be sent in a separate envelope with a first class stamp. 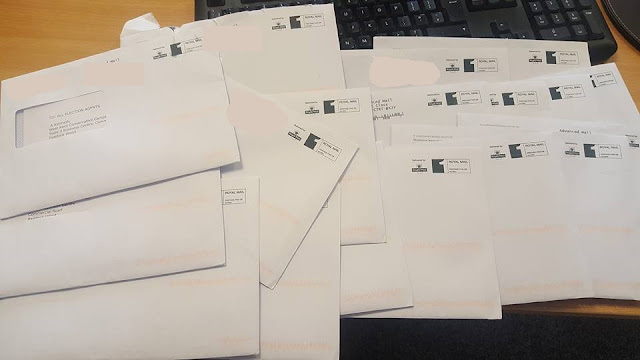 In fact, another council I am dealing with this year sent all the letters together in the same envelope with just one stamp. Twenty unnecessary letters and stamps might not break the bank. Nor might it be significant in the wider scheme of local government spending. However, given the same has probably happened with Labour, LibDems, Greens, UKIP and the others, I have calculated that around £140 in postage and copying has been spent unnecessarily, without taking into consideration the time of a council employee. 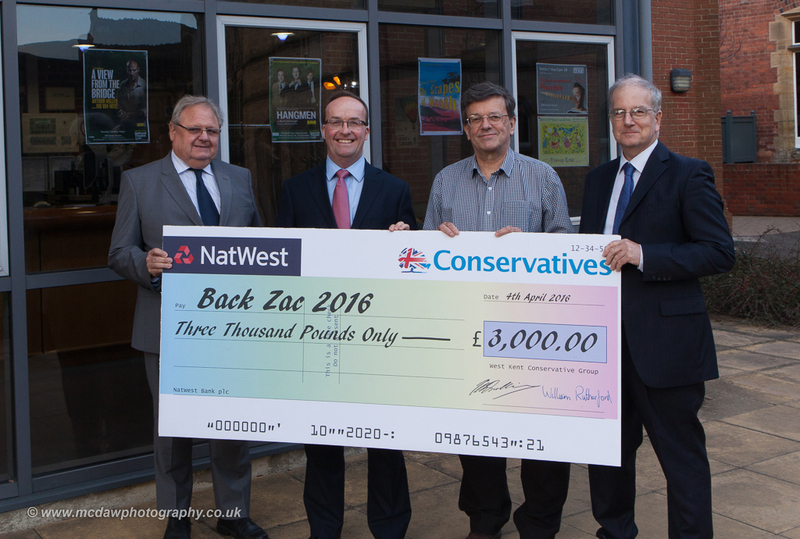 This is the equivalent to one household's district council tax! The hard fact is, if the person sending these letters was self-employed and the money spent was coming directly from his or her own bank account, this would not have happened. Next time you hear a councillor or council officer claiming "we've cut waste to the bone in this authority" and "we really have no alternative but to increase Council Tax by the maximum the government will allow", take it with a large pinch of salt. 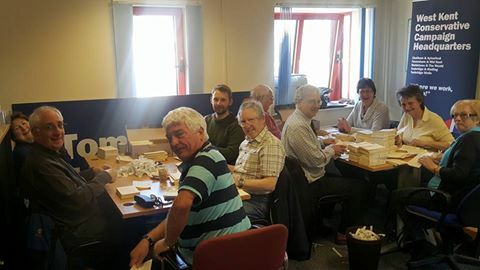 A fabulous team of volunteers working all day today to pack 10,000 personally topped and tailed GOTPV letters in the two constituencies where we have local and PCC elections. Thanks to a great team effort, all 10,000 were packed and delivered to the fulfillment house 35 minutes ahead of schedule. Thank you to a super team: Paul Cooper, Joe Mamo, Ron Leagas, Alan Chell, Michael Payne. Pam Bates, Owen Baldock, Chris Baldock, Janet Sergison, Elliott Self and Pat Perry. I can look back over 32 years of voting with absolute certainty that I have never missed a vote, nor failed to vote for the Conservative candidate at any given election. 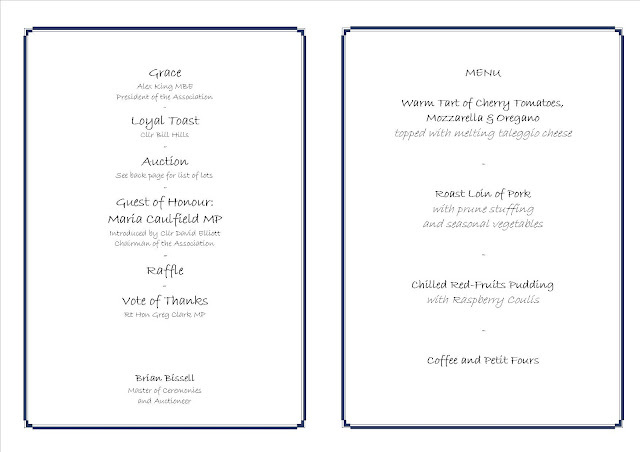 Some friends, even those who share my politics, find this blind loyalty to a party somewhat bizarre. For me, there is seldom doubt. 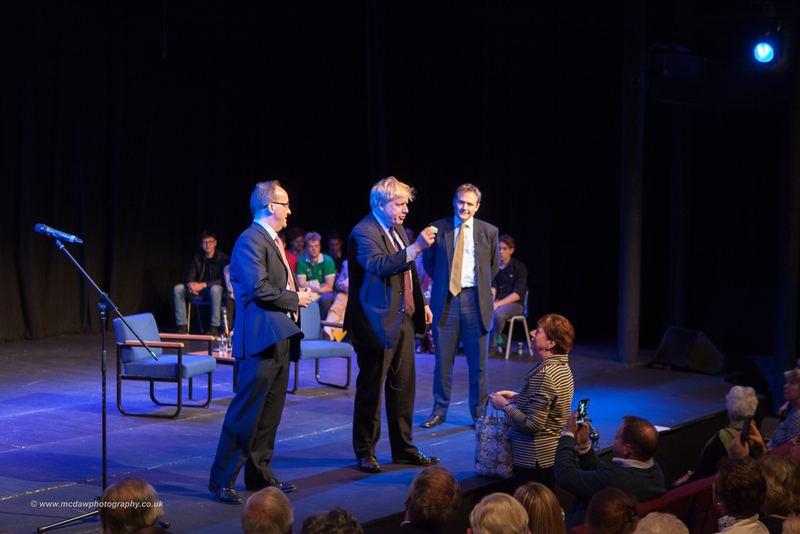 I believe Conservative principles provide the best framework for leadership, and the only way to elect a Conservative government (or council, MEP or PCC) is to vote for the Conservative candidate on the ballot paper. Three and a half years ago I had the privilege of running Craig Mackinlay’s campaign for Kent Police & Crime Commissioner. It was perhaps the hardest, emotionally draining and frustrating campaign I have ever worked on. The scars were not left by 6am starts at remote commuter railway stations, nor the scale of the campaign (1.3 million electors across 17 parliamentary constituencies), nor by standing on cold, wet and windy High Streets trying to convince passers-by of the importance of their vote in an election few understood and even fewer cared about. The problem was that for the first time in my life I was fighting an election which too many people thought shouldn’t be happening and where people who should know better allowed their traditional loyalties to be blurred. At the count the “independent” candidate Ann Barnes won the election by two to one. Her victory was, in my opinion, based on three misconceptions, which I shall attempt to explain below. Firstly, there was no need for Police & Crime Commissioners. If anyone looks at a Band D Council Tax bill in Kent (and I suspect most other areas) they will see that their local Police Authority precept is higher than that charged by the local district council. No one would accept that their local council should be run by political appointees with no democratic accountability to those who pay the tax, yet people who opposed the creation of an elected Police & Crime Commissioner were quite happy for taxation without representation when it came to police spending, which in Kent amounts to £300 million a year. It is also worth remembering what the Office of Police and Crime Commissioner replaced – the former “Police Authority” - the composition of which was almost exclusively by patronage of the leader of the County Council. 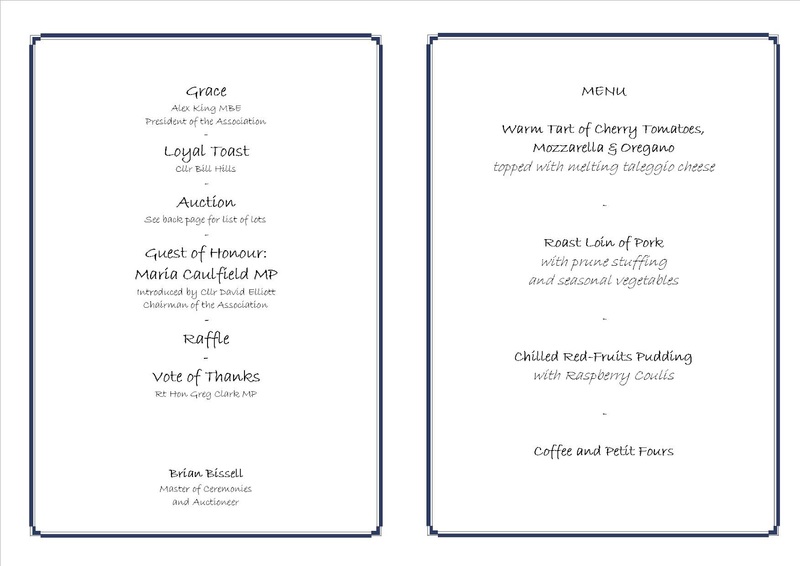 I once asked a County Council Leader how he selected those who would serve on the local Police Authority. 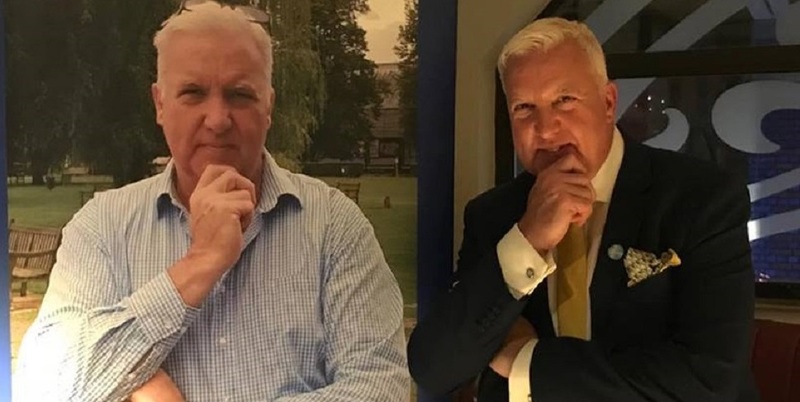 “I pick those who cause me grief at County Hall and those I want to get rid of as they challenge my authority.” Having our police priorities and £300 million spending supervised by the old, grumpy and awkward, none of whom were accountable to residents and taxpayers, was clearly unacceptable. Secondly, that a party politician was unsuitable for the role and an “independent” candidate should prevail. 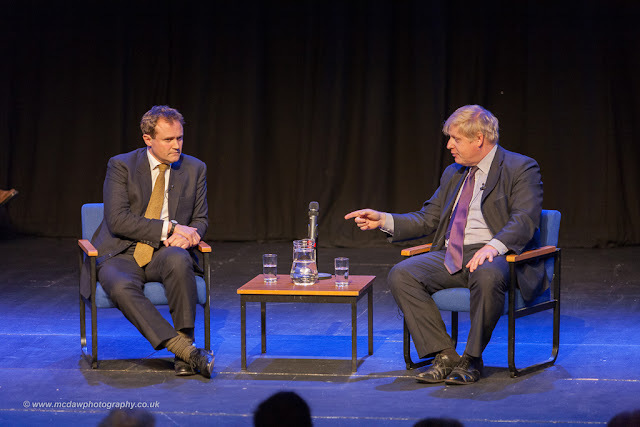 This view, widely held even by some active in our own party, was the most bizarre and difficult to deal with, especially as the same people were happy to vote on party lines to elect a party-political Home Secretary or Chief Justice; positions with far more control and influence over the criminal justice system than PCCs would ever have. 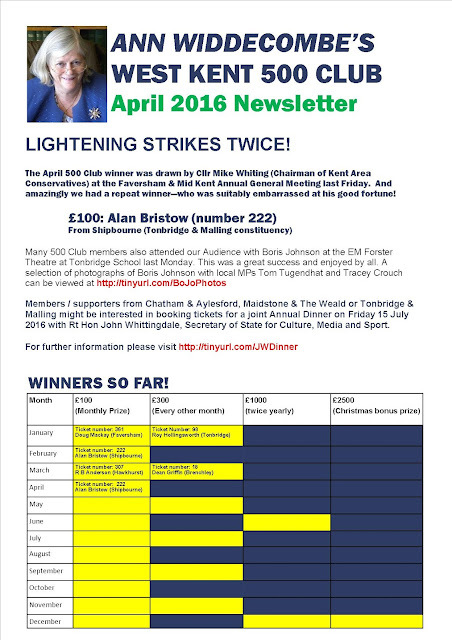 Here in Kent the delight shown by Ann Barnes’ supporters at having defeated the “nasty Tory machine” soon dissipated when her actions led to serious questions about her judgement and brought ridicule onto the office she held. in North Wales, Bristol and Kent backed by our Party”. Mrs Barnes probably became Britain’s best known Police & Crime Commissioner for all the wrong reasons: including her ill-advised appointment (without adequate due diligence) of a Youth Commissioner (subsequently ridiculed for her racist and offensive tweets), the infamous and cringeworthy fly-on-the-wall documentary, her emotional outburst in a local pub over how much wine she had consumed, and the investigation by the CPS for driving without insurance, to name just four. It is valid to ask whether a candidate with such poor judgement have got through a political party’s vetting and approval process and if so, would that party not have had the organisation and support in place to stop the car crash before it happened? The third misconception was that the previous system worked well and didn’t need changing. I find it deliciously ironic that Ann Barnes’ public hostility to the creation of PCCs, and her subsequent high-profile election to a role she didn’t believe should be created, followed by her appalling record in office, has inadvertently provided one of the strongest reasons for its continuation. Mrs Barnes was appointed to the Kent Police Authority in 2001 and became its Chair in 2005. She occupied that role for seven years until November 2012 when she was elected PCC. In that time she was never accountable for what she did, and could not be removed by the people whose taxes paid for the services she supervised. The ineptitude and poor judgement she has shown since her election as Police & Crime Commissioner did not surely start on the day she was elected? Her election exposed her to media scrutiny as never before, something which she had avoided previously as she was neither elected nor accountable. And had she not been elected, and become accountable, and been forced to conduct her affairs in the spotlight of public scrutiny she probably would have continued to get away with it. There can be no doubt that her actions have been exposed because she holds elected office and this in itself is one of the strongest reasons to elect Police Commissioners. It has been a difficult three and a half years for the people of Kent, but thanks to this legislation we could (had she not wisely decided to “step down”) have voted her out of office and elected someone new. An option not available in the days of patronage. The role of PCC is a big job with great responsibility. 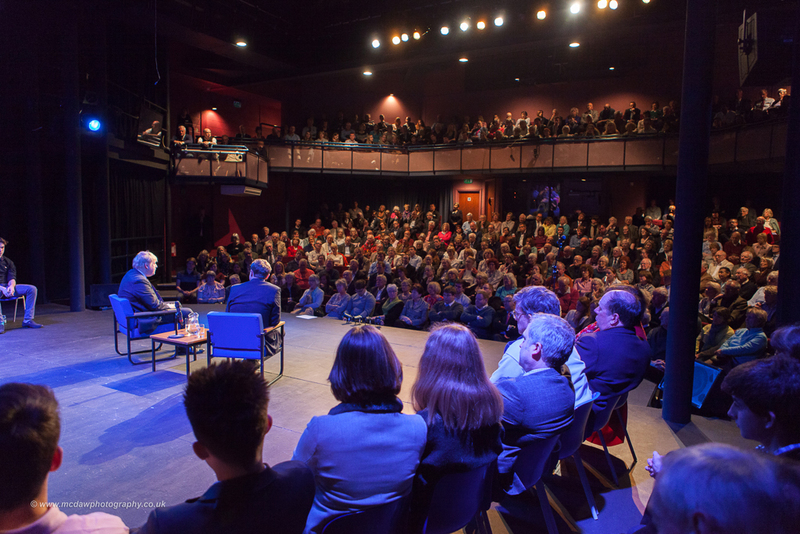 I am delighted that CCHQ is focussing on the responsibilities of the role in the belief that as people learn how important it is, so they will give greater consideration to the qualities needed to fulfil it. 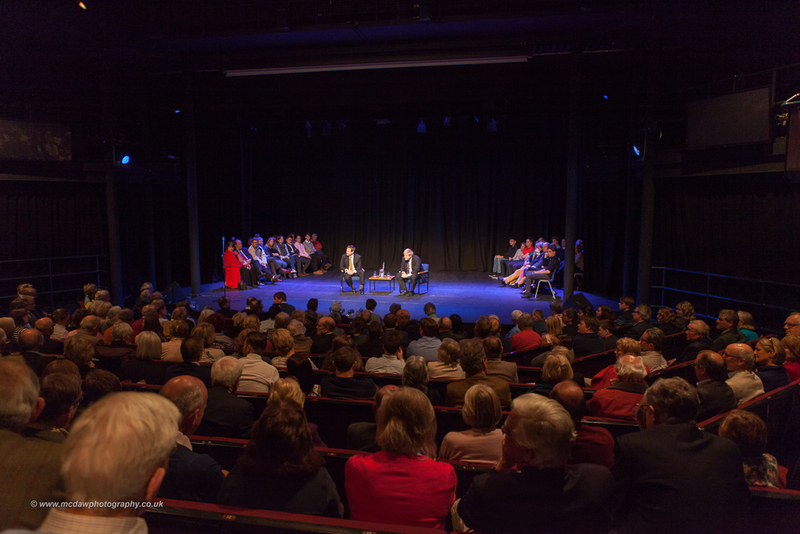 Being the PCC is not about politicising the local police, it’s about managing hundreds of millions of pounds of public money, ensuring the views and concerns of residents and taxpayers are heard, and securing best value. And as with national or local government, I believe Conservative Police & Crime Commissioners will be best placed to deliver these objectives. Over the next 24 days I hope Conservative members and activists will give as much support and commitment to their local PCC candidate as they would to their parliamentary candidate or local councillor. If not, your county might end-up with the next Ann Barnes. 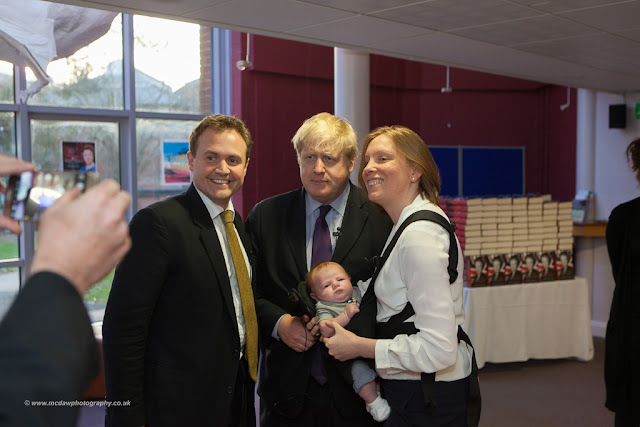 Welcoming Committee - Boris greeted on arrival by Tonbridge & Malling MP Tom Tugendhat and Chatham & Aylesford MP Tracey Crouch (with son Freddie, attending his first Conservative fundraiser). 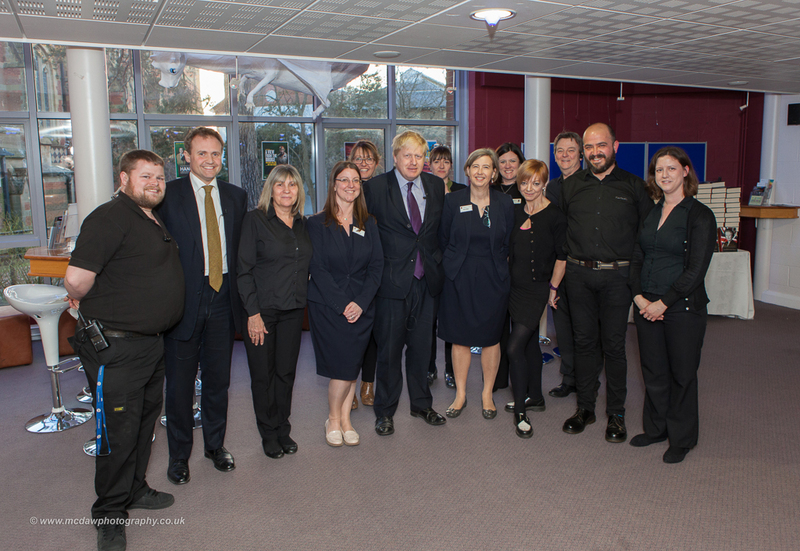 The fabulous staff at Tonbridge School didn't need to be asked twice if they wanted a photo with Boris! 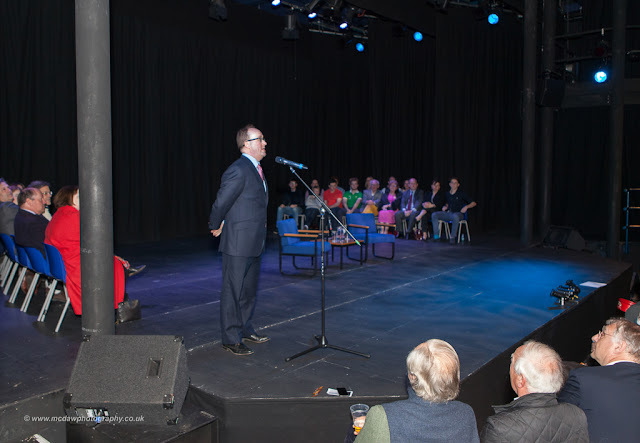 With special thanks to Marie Wallace and her events team for always making us so welcome. West Kent Conservative Group Chairman, William Rutherford, introducing the Great Man! 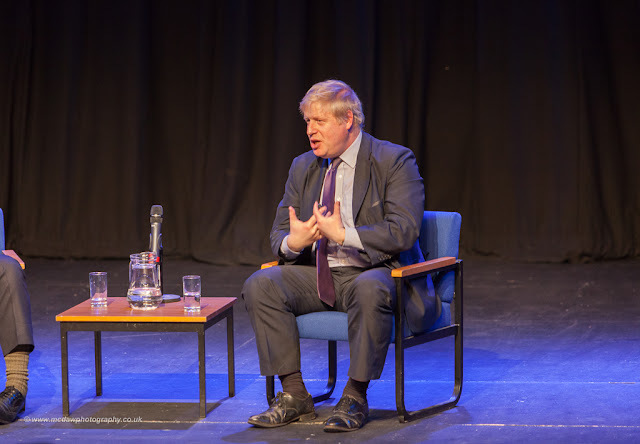 BoJo makes a point! Tom Tugendhat doesn't look convinced. Was he talking about Brexit? Talking about his legacy as Mayor of London. "Crikey - there's an awful lot of you." Boris's reaction when the house lights were turned on. West Kent Conservatives out in force!